The sacking of hundreds of university staff members, the suspension of approximately 81,494 civil servants, the arrest of more than 25,000 civilians and the detention of 40,360 others across Turkey are a precautionary measure to prevent “future crimes” that might be committed by the Gülen movement, according to Turkish columnist Mustafa Akyol. 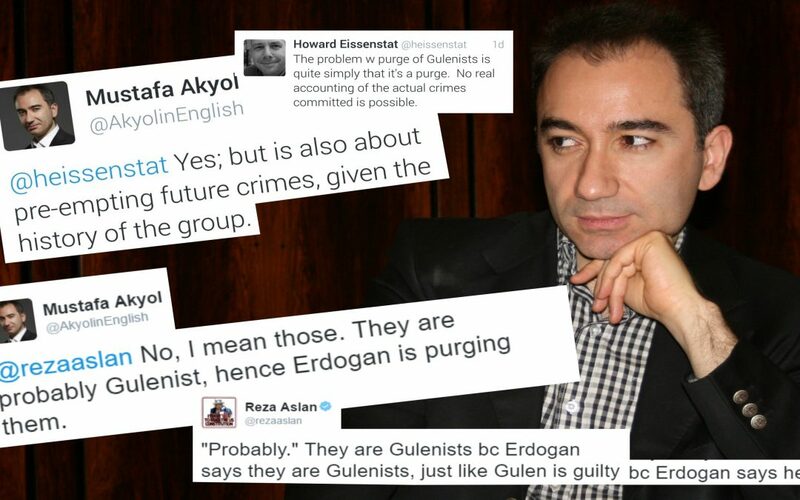 Akyol had tweeted on his official account that the ongoing purge in Turkey was “about pre-empting future crimes, given the history of the [Gülen] movement,” which is accused by the Justice and Development Party government and President Recep Tayyip Erdoğan of masterminding the attempted overthrow of the Turkish government. Akyol’s tweet came in response to an earlier tweet posted by Howard Eissenstat, an associate professor at St. Lawrence University. “The problem w purge of Gulenists is quite simple that it’s a purge. No real accounting of the actual crimes committed is possible,” Eissenstat said in his tweet on Aug. 28.